Access to large public genetic databases is essential to advancing the diagnosis and management of genetic diseases. The largest databases of genetic variants are currently held by proprietary companies, such as Myriad Genetics, who control access to the data and thereby increase the cost of developing new life-saving technologies. Public databases, such as ClinGen, are racing to catch up, but have been criticized as being unreliable, expensive and vulnerable to funding cuts that compromise their upkeep. In this seminar we will explore the pros and cons of these two approaches to managing genetic information. What Evidence is Essential for New Medical Products? 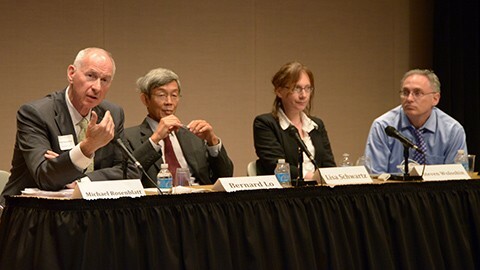 June 13, 2014 | AAAS Headquarters, Washington, D.C.
Co-sponsored with the Petrie-Flom Center for Health Law Policy, Biotechnology and Bioethics.